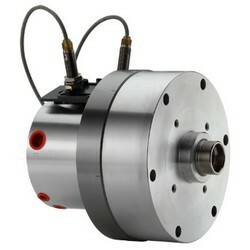 1.For short form, light weight and high speed rotary cylinder. To allow compressed air to be feed from the rear end of the distributor through the rotating union, suitable for vertical lathe. 2.Built-in safety check valves, pressure relief valves and proximity sensor. 4.The drain port should be independently connected to oil tank to avoid back pressure. 5.When used, a little oil mist should be contained.